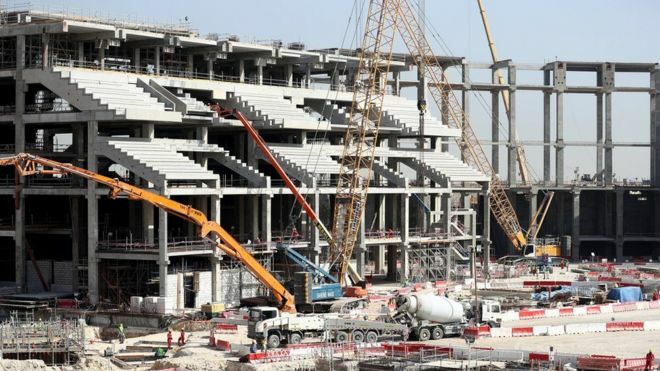 Qatar is spending almost $500m (£400m) a week on major infrastructure projects as it prepares for the 2022 Fifa World Cup, its finance minister has said. 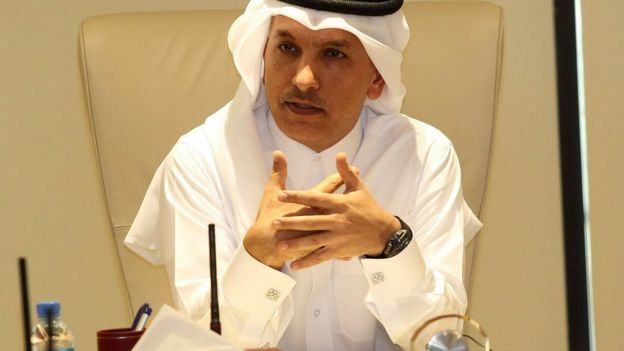 Ali al-Emadi expected spending to continue at that level for three to four years as new stadiums, motorways, rail links and hospitals are built. More than $200bn (£160bn) will be spent in total by the gas-rich emirate. The 2014 World Cup in Brazil is reported to have cost $11bn (£8.8bn) to host, while Russia increased government spending on the 2018 World Cup by $321m to $10.7bn. Brazil struggled to get many of its stadiums ready, but Mr Emadi told reporters in Doha on Tuesday that Qatar had already awarded 90% of the contracts for 2022 projects and that two-thirds would be delivered within the next 24 months. In order to achieve this, contractors have brought in hundreds of thousands of migrant workers, mainly from South Asian nations, who human rights groups say have been exploited and forced to work under dangerous conditions. Qatar’s government has denied the workers are exploited and in December it implemented reforms designed to improve the rights of the migrant workers. Mr Emadi said the money for the World Cup projects had been protected from cuts to the national budget caused by low oil and gas prices. Last year, Qatar had an estimated budget deficit of more than $12.8bn, and the 2017 budget has a projected deficit of $7.8bn. The pressure on the state finances is now easing because of higher oil prices, and Mr Emadi said Qatar might not need to issue international bonds this year.